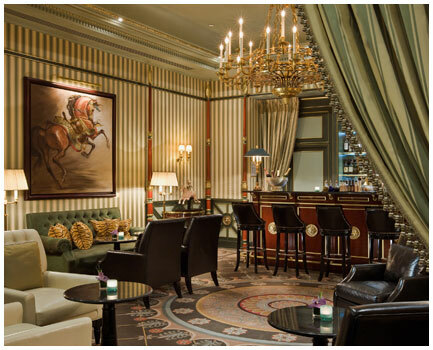 At the Shangri-La Bar, Paris. Not by connivance, but really because I love the work by Pierre-Yves Rochon who was inspired by a Napoleonic tent to create an intimate and refined place. Specifically, I find this bar very “Parisian”. And because the cocktails and service are up to par.